Few genres in the history of American media have been as representative of the mythology of American culture as the Western. And through these epic films, this version of history has come to define the modern idea of individualism. After all, the exploration and taming of the American frontier, the wild west, is a central part of American identity. Part of the rationale that America is somehow "exceptional" is even founded on the indomitable spirit of its early residence, and Manifest Destiny is this quasi religious justification for colonization. But, as Adam De Gree explains, stories about the West were usually more fiction than fact, helping to twist the actual meaning of the word individualism itself. 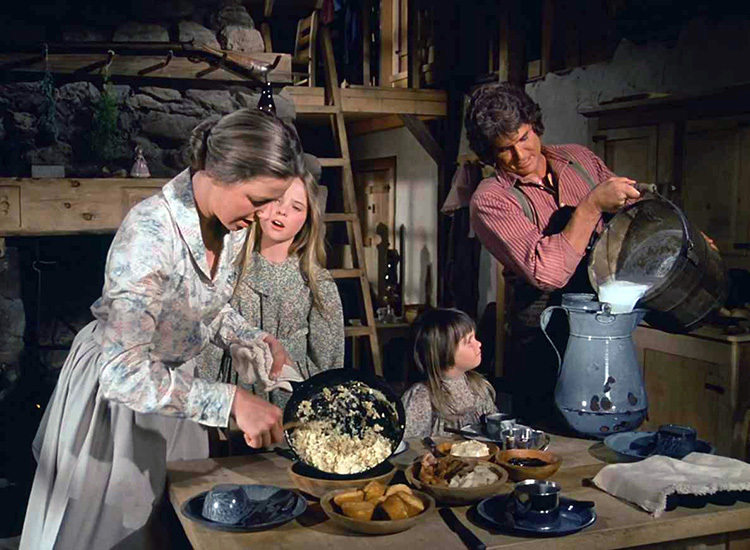 In his latest piece for the Culture Crush, De Gree explains that winning the West was “not a matter of conquest, but of cooperation.” Instead of ruggedly masculine mountain men and cowboys, the vast majority of people on the frontiers were there in communities and families, complete with doctors, school teachers, merchants and children of all ages. Of course, this absolutely makes practical sense given that the chances of survival dramatically increased if one were in a group. Not to mention the mental, psychological, and social well-being that groups always provided. Or the fact that without the possibility of growing families, there would be no continuation of human lineage at all. Despite the obvious necessity of needing both women and children in a society, the whiskey-drinkin’, bear-huntin’, outlaw-killin', and of course, male mountaineer came to occupy such a strong place in the cultural landscape because it appealed so strongly to America’s sense of self; our individualism. This is a classic version of our history that positions our success as both unlikely and simultaneously solely the result of our own personal grit. Of course, this narrative is still deeply tied into our society’s conception of what success looks like and what it looks like to be a man, even today. However, it is worth noting that the Western genre transcended both time and space. 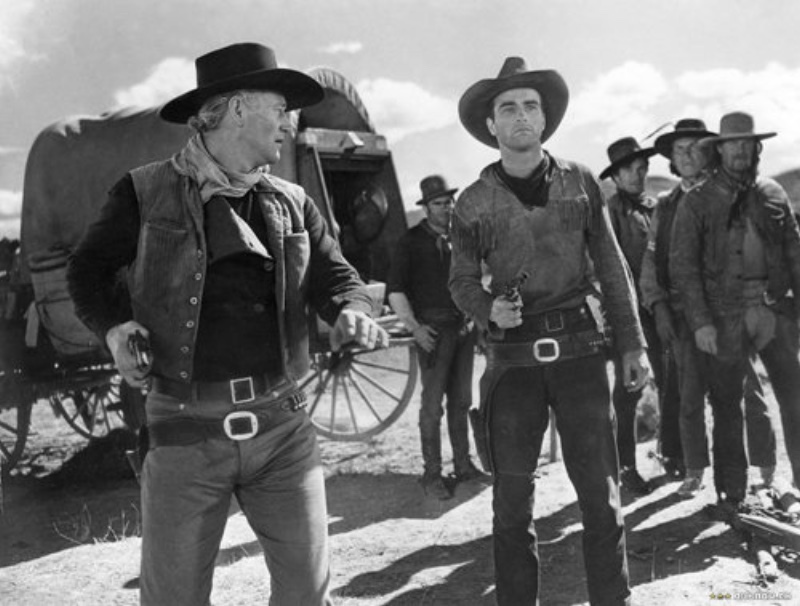 During their heyday, Westerns were the most popular genre of filmmaking, with directors from many cultures taking inspiration from the characters played by the likes of John Wayne and Clint Eastwood. For example, there was an entire genre of Westerns filmed and produced in the Soviet Union (nicknamed Osterns) which entirely aped the style, though they often portrayed the indigenous people of the Americas in a more sympathetic light than their Hollywood counterparts, as did the Revisionist and Spaghetti Westerns coming out of Europe in the 1960’s and 70’s. So, for example, let’s take the premise of a revenge story, which revolves around a protagonist pursuing someone who has wronged them across a great landscape. While it is easy to see how that could apply to a Western, where a mysterious lawman might track a group of bandits like True Grit, it also applies very well to Logan, The Dark Tower series by Stephen King, and even The Princess Bride. Okay, so how about the outlaw story, which, as the name suggests, is primarily about a gang of outlaws committing crimes and staying on the run from the law or other forces. That sounds a lot like Firefly and even Star Wars (which is known as the ultimate western in space). In fact, as Westerns are all about the taming of the West through technology, they map right onto both Star Trek and Stargate. This is not merely conjecture either. In the case of Star Trek, Gene Roddenberry described his work as “A Wagon Trail to the Stars,” which is why people in the show often refer to space as The Final Frontier. Similarly, George Lucas knowingly mixed elements of Samurai and Western films within Star Wars, with Mos Eisley’s Cantina essentially being a classic frontier saloon. And it’s no coincidence that Lucas comes from the John Ford school of influence, as Han Solo could arguably be the ultimate space cowboy. The cultural codes created through the imagery and storytelling methodology of Westerns has clearly left a lasting impression on society. It’s made individualism an ambitious and unrealistic idea; that a true, admirable tough guy can and should survive with only his own two hands, the sun on his back, and the barren plains whether that be outer space, the Wild West, or a galaxy far far away. So remember, if you're watching a movie and a lone wanderer appears surrounded by a stark landscape and riding into the distance on a space ship or on an alien planet, odds are you're watching nothing more than a dressed-up Western, preaching the same false narrative of individualism as the classics. But in reality, this Lone Ranger isn't alone at all, he's probably just riding home to his family. Beyond the genre-bending, dressed up Western, there lies a film that defies any categorization at all. The Dark Crystal, which takes place not on the amber waves of these United States, but on the plains of the mystical planet of Thra, uses many familiar touchstones of the classic Western. However, the answer to whether the movie qualifies as a Western is complicated, because while it does adopt many of the themes commonly found in one, it subverts them as well. The plot of the movie is simple. Well, relatively simple. One thousand years ago, the Dark Crystal—an artifact that serves as the primary concern of all parties over the course of the movie– was whole. On the day of The Great Conjunction, when the planet's three suns overlapped, the crystal cracked and two new races appeared; the beastly and aggressive Skeksis and the friendly dinosaur-esque, passive Mystics. Eventually, the Skeksis discovered a prophecy that another race—the elf-like Gelfling— would heal the crystal, which would cause them to lose their power. So naturally, as evil doers are wont to do, they killed all of them. That is, except for our protagonists Jen and Kira, the only Gelfling survivors. Jen and Kira must complete their hero’s journey by finding and replacing the crystals missing shard before the three suns meet once again, or else the Skeksis will rule for all of eternity. It’s a classic tale of good vs. evil, but mixed with terrifying, brain-sucking, relentless giant muppet-like creatures, which make no sense until you realize the vision behind the 1982 cult classic came from none other than Jim Henson himself, the genius mind behind The Muppets. The aesthetic of the film’s “Gelfling” heroes look a lot like Muppets characters, but only if they had been born of a child’s worst nightmares. Although marketed as a “family film,” The Dark Crystal unsettled most child viewers at best and terrified them at worst. With most of the villainous characters looking like gothic, mutated versions of the residents of Sesame Street, it’s no wonder the film left kids with nightmares. Having the Gelflings look like post-apocalyptic, elf children who race against time and fight twisted looking beings also didn’t help make this a go-to VHS for parents to pop in before their children’s bedtime. And yes, the Skeksis look like oversized turkey vultures donned in robes, but for some reason it worked. And it’s terrifying. Henson has said he was hugely influenced by the original Grimm’s Fairytales and apparently he firmly believed that children should be scared sometimes, although this is something we don’t think Kermit the Frog would exactly agree with. While the movie certainly wears many of its aesthetic and thematic influences on its sleeve, it's still hard to say if this film is a Western or a fantasy, or if it's something new Henson entirely mixed-up himself? To answer that question, first we have to look at the setting. The geography of the planet Thra is covered in large expanses of barren plains, which Jen—acting as the films nomadic protagonist— traverses on the back of his Landstrider. Jen’s story is both one of revenge and redemption. He is not only seeking to avenge the slaughter of his people at the hands of the Skeksis, but also to settle the land by removing the more beastly, animalistic species and their thralls which seek to enslave and terrorize the various inhabitants. In this sense, it is actually interesting to view The Dark Crystal as a Western, but more along the lines of a telling of the settling of West through the eyes of the Indigenous people. A story where the Skeksis serve as analogs for invading pioneers who aren’t bringing civilization, but rather, death. After all, the Skeksis wiped out the native population, defiled the land, and erected large structures on what was once pristine land. In this sense, the story of Jen might accurately be said to belong to a similar genre of Western as Fern Gully and Avatar, one that is meant to dismantle traditional tales of Manifest Destiny. And although Jen eventually restores the crystal (you’ll have to watch to see what happens to Kira), he would’ve never been able to do it alone, which is an important underlying theme of this deeply twisted tale. Throughout his journey, he leans on communities of good creatures to help him find his way. Proving again, individuals are not meant to take on the world by themselves, let alone a whole planet.